The world of sales is in a state of constant change. Last week I came across an article from 2004 listing the most effective sales tools. Topping the list was join a local networking group to exchange leads. Third was make cold calls. Today I shudder at the thought at either of those. I remember going to my local group breakfast every other week, struggling to come up with referrals for people I barely knew, for products that didn’t really resonate with me. Now cold calling is the least effective way to generate new leads. Telemarketing laws actually prevent sales people from making cold calls. Today’s networking group consists of LinkedIn, Twitter, Facebook, Instagram, Pinterest, and other social media sites designed to gain followers and cultivate lead generation. It’s all about garnishing leads through connections, likes, and shares. Content Marketing and Influencer Marketing is what works today and it has changed the landscape of selling. And really it’s for the better. At least now I can pick and choose the companies and people that resonate with me. The ones I want to follow because I find them interesting. The ones I think maybe someday I really want to do business with. And the ones I admire. But you cannot have one without the other. Marketing drives lead generation now more than ever. Sales teams in senior living do not make cold calls. Today’s marketers are benchmarked on the number of quality leads provided to the team. Gathering a ton of names that do not lead to future engagement doesn’t help sales, or marketing. Direct mail is still viable in senior living, but more often, marketers are discovering engagement through social media outlets. The new senior living buyer is tech-savvy and looks to Facebook to follow their favorite communities well before they make a decision to buy. Everyone needs to join the online conversation to encourage high engagement with prospects. It’s not just the job of the marketer or social media person. Sales teams need to be present, and assisting their marketing team with the online campaign. 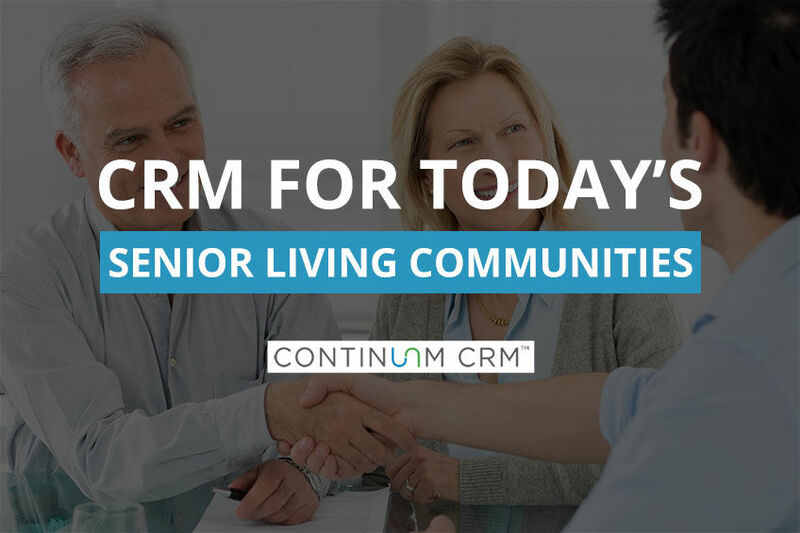 More than ever the Marketing and Sales teams in senior living have to be a cohesive group working together toward the end goal of bringing in new residents. Neither can work in a silo. Sales people today need to understand and support the challenges the marketing team faces in generating leads. The sales team needs to provide detailed feedback to assist the marketing team in knowing where to spend the allocated budget. Sales needs to ask pointed questions from the customer about engagement to be more active in the marketing process. Each need to understand the challenges of the other and help each other on the path to organizational success. Sales people cannot say “it’s marketing’s job to bring the leads” and then not give feedback on what constitutes a great lead. These groups need to meet, collaborate, and create a winning strategy together. Some of the best event ideas I ever heard generated came from brainstorming sessions with marketing and sales at the same table. Your CRM needs to be able to marry the marketing and sales process now more than ever. ROI on lead generation is critical to the marketing team. Event planning and tracking, accurate lead sourcing, and in-depth demographics and psychographics of your prospects determine where budgets should be allocated. While the marketing team drives leads to your organization, the sales team is responsible for gathering all the information necessary for marketing to make decisions. Inadequate or missing information in the prospect profile leads to blind spending of marketing budgets. Sales teams need to understand the impact they have on where money is spent. Their feedback, or lack thereof, can cost the organization hundreds of thousands of wasted dollars. Sales leaders need to drive home the consequence of NOT gathering the data needed to perform marketing analytics in your CRM. How embarrassing is it when your Chief Marketing Officer asks how many prospects like golf so you can invite them to your annual tournament and you can’t tell them because your team failed to log the prospect’s hobbies? Your team should be gathering information on prospects interests, and your CRM needs to have a place to store, track, and report the information. If you have 400 prospects that enjoy painting, why not host a wine and paint event? If 60% of your database is single, hosting a singles only event makes sense. Not so much if you draw mainly couples. If your average age at inquiry is 70, then why would you populate your event with your 85+ year old volunteers to mingle with the prospects? Through proper data collection, sales leaders can accurately point to successful marketing campaigns that create a positive impact on the community. Your CRM should make it easy to execute and share data related to successful marketing campaigns. Does your CRM fit your organization? CRM isn’t only about measuring call activity. It’s a robust reporting and analytics tool that can, if used correctly, evaluate systems, processes, and enable organizations to know where to spend operational budgets. It can ensure your CMO knows exactly which campaigns to invest in in the future. It provides a clear picture of ROI. It gives your entire organization the ability to be more effective. If your CRM isn’t capable of delivering insights into your organizations analytics, and if it doesn’t make your marketing and sales department more effective, it’s probably time rethink the tools your organization is using.